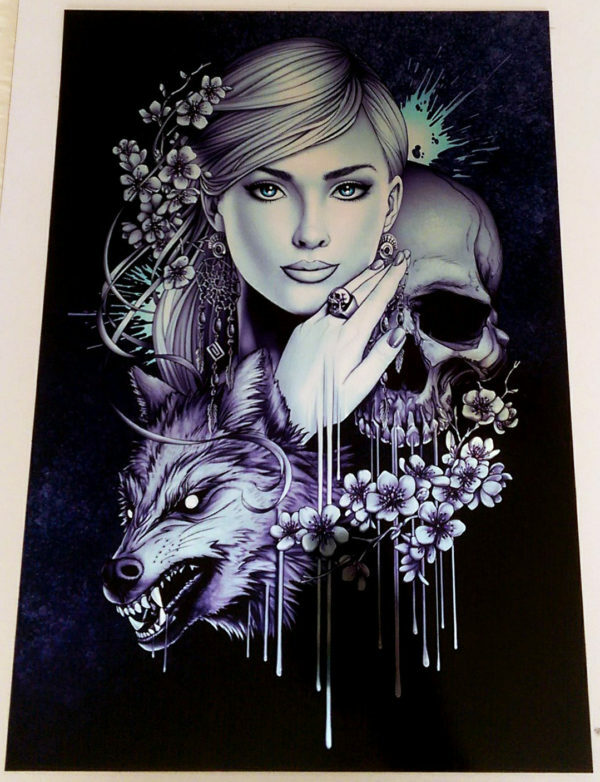 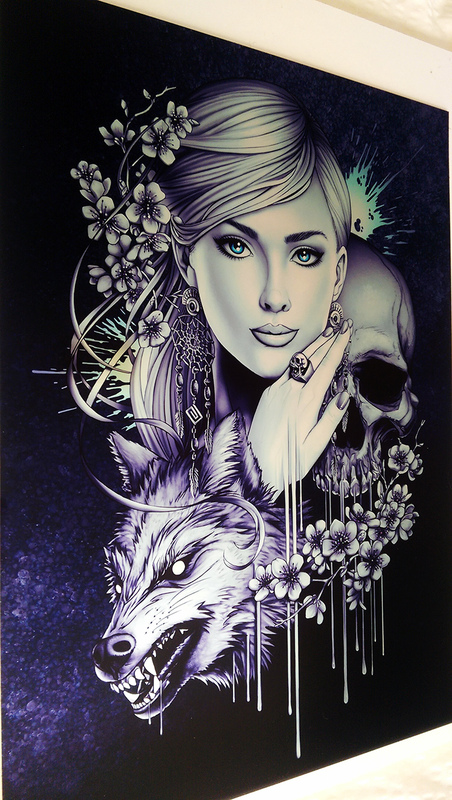 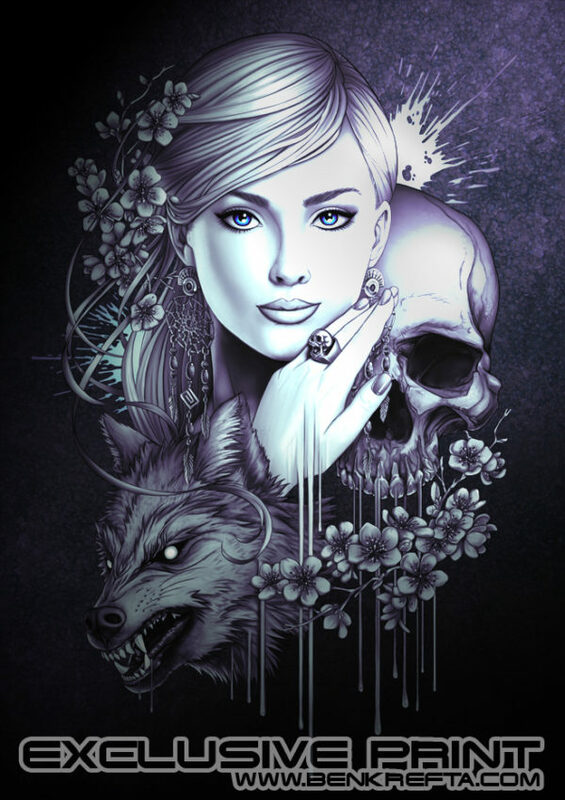 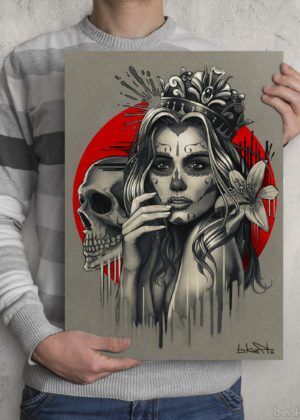 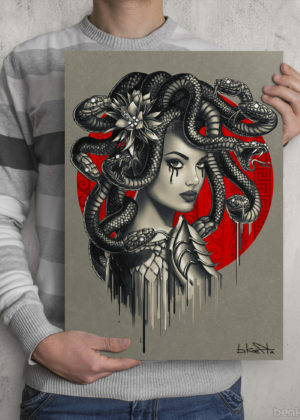 Special Edition Skull / Wolf / Girl tattoo inspired illustration print by Ben Krefta. 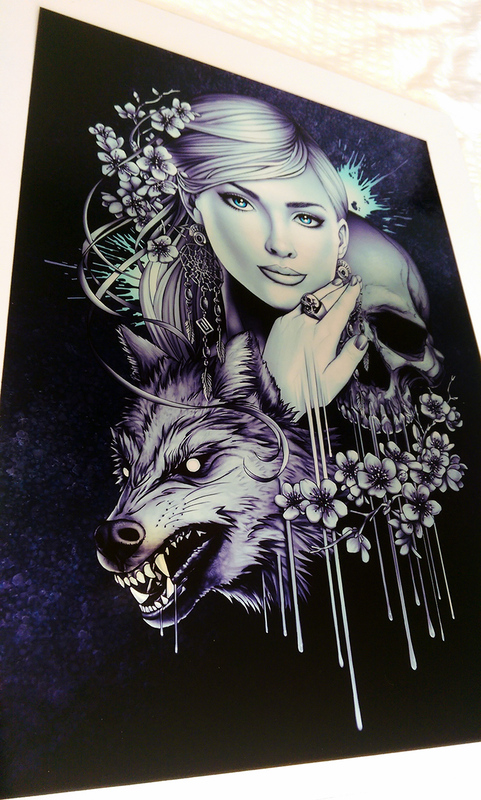 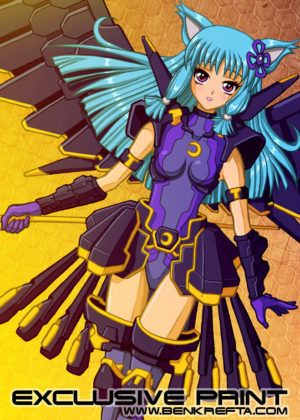 This is a small print run item only available at conventions and this store. 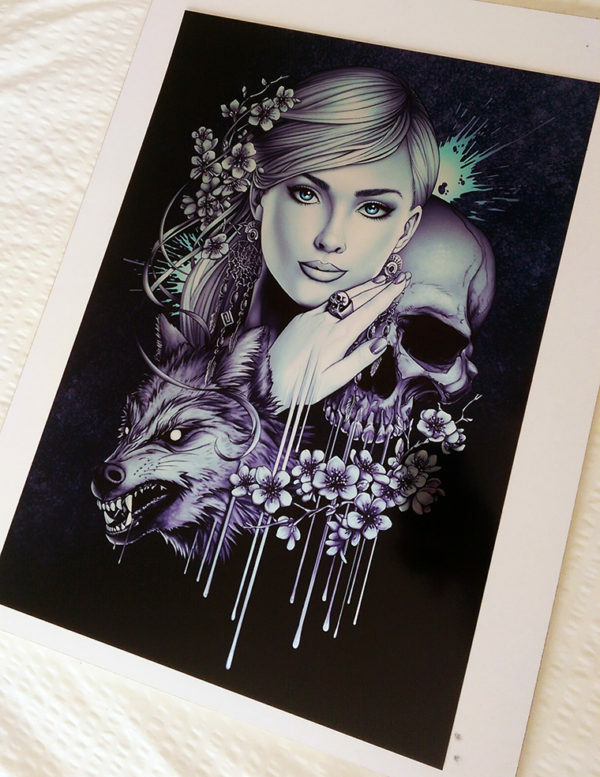 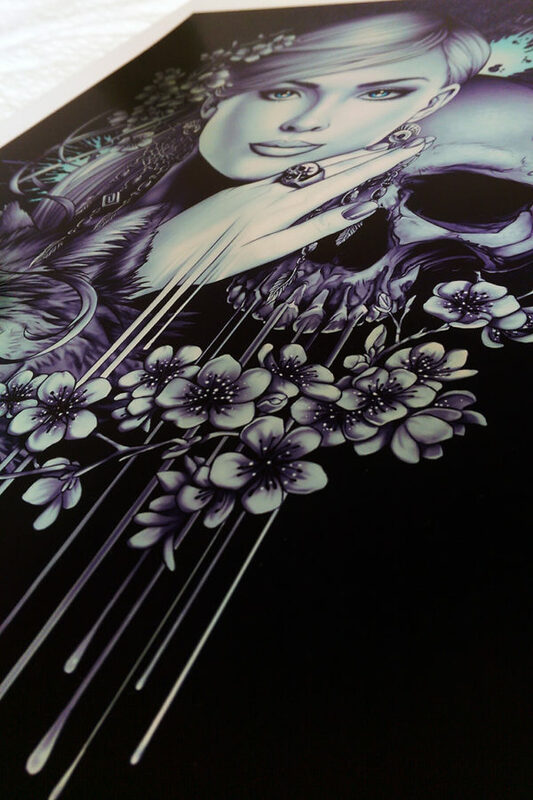 The ink is printed on special metal / mirror / chrome paper for a guaranteed wow effect! 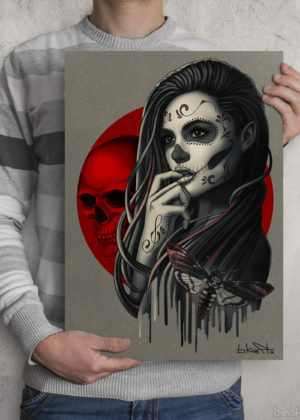 The photos don’t come close to doing this artwork justice.